Courtesy of Arizona Best Real Estate. This is the home you have been waiting for…an open floor plan with chef’s kitchen, 5 ensuite bedrooms and a backyard ideal for AZ living! The kitchen features designer cabinetry, quartz countertops, Viking 6 burner cook top, built-in fridge/freezer, double ovens, 2 dishwashers, walk-in pantry and huge island. The master suite includes a cozy sitting room with two-way fireplace, newly updated master bath with gorgeous finishes and a closet that you have to see to believe! 3 ensuite bedrooms are tucked away in their own wing. 2 gaming/media ideal for family life and entertaining. A rock waterfall/waterslide is the backdrop to the newly remodeled pool/spa, plenty of covered patio, lighted sport court, 2 RV gates and gorgeous landscaping on an acre lot. Truly a home to envy. Directions: North on 49th Ave, west on Electra to home on the left. Approximate size: 45440.00 sq. ft. Please, send me more information on this property: MLS# 5851283 – $1,350,000 – 4921 W Electra Lane, Glendale, AZ 85310. 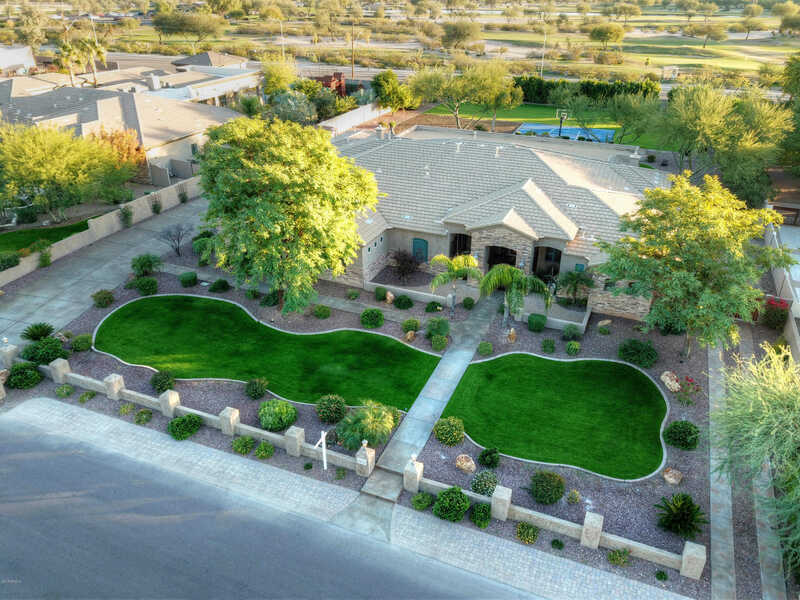 I would like to schedule a private showing for this property: MLS# 5851283 – $1,350,000 – 4921 W Electra Lane, Glendale, AZ 85310.